Time for a Power Rebellion? 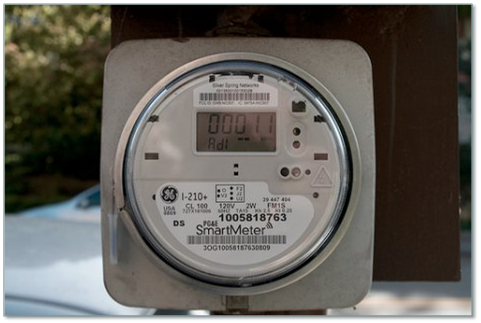 Utilities Plan Rate Hikes – ah, those Smart Meters! “Energy efficiency” is the talking point that seems to be everywhere – on the campaign trail, in state legislatures, at city council meetings, and new building codes. Being energy efficient is included in almost all sales pitches – from appliances to homes – and is part of the ‘going green’ agenda. Folks are encouraged to buy Energy Star this or that, build energy efficient homes, install programmable electronic thermostats, unplug unused items and turn off lights. Many businesses have been, or are being, remodeled or redesigned, including changing lighting fixtures, HVAC units and thermostats, windows, and even their hours of operation, all in the name of energy efficiency. Power companies are installing (forceably so in many cases) the so-called Smart Meters on homes and businesses. These surveillance meters are supposedly more efficient than the existing analog meters, and are to reduce the cost of delivering energy to the consumers. The utility companies plan to eventually adopt time-of-day metering, to encourage consumers to change their power usage to off-peak-demand times. Not so fast. Reducing folks’ energy bills is not really part of the plan; controlling consumption and raising rates is. 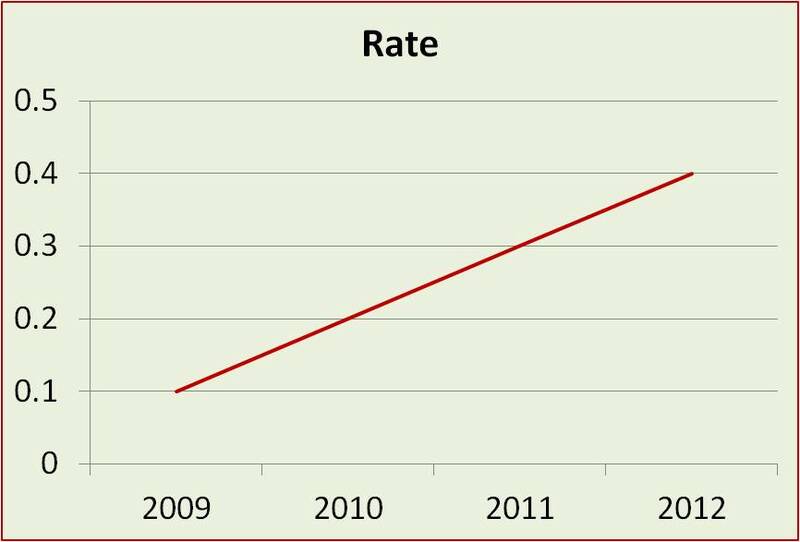 Utility rate increases, the natural next step in the Smart Meter/Smart Grid agenda. It’s a no-win situation for the consumer – no matter what a person or business does to reduce their energy usage, their energy bill is not going to go down. Short of being off the grid entirely, or returning to a type of aboriginal living, there is no way to avoid what’s coming. (Aboriginal living is not so far fetched – some in the “low-carbon initiative” movement are actually advocating this.) It doesn’t matter how much folks reduce their energy consumption, the rate they pay for energy (power) will only go in one direction – UP. Rate increases are already being proposed in smart metered Idaho – and they’re coming soon to a state near you. What will you do? Live with or do something to try stop it? See the excellent action plan below, from researcher Vicky Davis. In the meantime, follow this link to the Oklahoma Corporation Commission webpage dealing with Smart Meters. Start reading here. Note: This was written for the people of Idaho, but everybody pays an electric bill so the suggestions offered here apply to people in all states. Find your electric utility regulator’s website, get familiar with it, find out how to comment. Watch for the next press release on a rate increase request and then spring into action. Yesterday, Idaho Power issued a press release that was published in the Idaho Statesman proposing an 8.5 percent increase in our monthly power bills “citing increased operating costs”. As part of its annual proposed rate adjustment, the state’s largest utility is proposing an overall 7.1 percent rate hike for residential customers. That means the average monthly bill would increase $6, from $83 to $89 per month. The time when people are most receptive to new information, is when something happens to them directly and personally. A significant increase in electric utility rates hits everybody – directly and personally. In these hard economic times, an increase in the electric bill like this one provides us with an opportunity to present that new information. It doesn’t matter that this opportunity begins with electric utility rates. It’s the opportunity to talk to people about a subject that is guaranteed to interest them and to introduce them to the subject of Agenda 21 at the same time. Energy restriction and control is at the heart of Agenda 21 – and the increase in electric rates demonstrates how. The incentives are misaligned. Your “reward” for conservation and efficiency is that you will pay more for less – and you have no choice because electric service is essential for all in an advanced country. To be blunt about it, they’ve set up a racket. Here is an article about electric rate decoupling – and don’t be fooled by the time limitations set for the decoupling. They just extend the date when it expires. What we found out in Idaho is that it wasn’t Idaho Power that was pushing Smart Grid, Smart Meters and “Demand Side Management”, it was the Idaho Public Utilities Commission (IPUC). The IPUC is not acting in the interests of the people of Idaho, they are implementing the policies of NARUC – and NARUC is responding to the North American Energy Standards Board (NAESB) – and NAESB is working with NIST and the Department of Energy (DOE). Here is the suggestion for all Tea Party Groups, 9-12, property rights groups, – all groups fighting Agenda 21. Rally your members for an all out campaign to reach your neighbors. Prepare a flyer with the information below and hand it out everywhere – grocery stores, shopping malls, anywhere people are congregated. The front side should be about the electricity rate increase – the back side about Agenda 21. It would be great if you could organize public meetings to tell people about Agenda 21 and advertise those meetings on the flyer. Ask the people to send a comment about the rate increase to the Idaho Public Utilities Commission. The comment can be emailed or a letter can be written. The comment must include the Case Number and their name and address. Also, include the name and address of their state legislators – representatives and senators and ask them to send a copy of their comment and/or a letter to them about the out of control costs for essential services. This is a golden opportunity – but it is time limited. After a decade and half, those predators are doing what predators left unchecked will do – namely, killing and maiming other, more necessary animals, including cattle, deer and elk. According to one count, the elk herd in northern Montana has been reduced by 70% in the last 16 years. Crying Wolf is a one-hour independently-filmed documentary detailing what it’s really been like for ranchers, farmers and hunters in the affected areas – mostly Wyoming, Montana and Idaho. It’s been costly. The movie’s subtitle is Exposing the Wolf Reintroduction in Yellowstone National Park. Experiencing unnatural growth and protected as an endangered species, the wolves, are frequently seen hunting in packs, and routinely attack cattle, deer and elk. The U.S. Fish and Wildlife says wolves this about wolves,”They feed primarily on large mammals, such as deer and elk, removing sick and injured animals from the populations.” Apparently most of the elk in Gardiner, Montana were sick or injured ’cause they’re going, going, gone. “All told, the elk population has declined by 70 percent in the 16 years since wolf reintroduction.” Story here. Anyone heard an apology from the U.S. Fish and Wildlife Service? Crying Wolf is an independently produced documentary film by Jeffrey King, a 20 year old Montana resident. His passions are filmmaking, wildlife, and truth, wherever it may (or may not) be found. He finished his studies last fall, when he completed his B.S.B.A. in Business Management via a distance program through Thomas Edison State College. Be sure to follow the film’s informative Facebook page for the latest wolf news. Seems like Idaho Power can squash any evidence about their use of force in installing those unwanted spy-meters (Smart Meters) on folks’ homes in Idaho. The local media has not reported a word about the resistance to the installation of these meters in Idaho. A search for articles on Smart Meters on the The Twin Falls Times-News (MagicValley.com) website results in mostly letters to the editor and a few spin stories about smarter this or that, and the federal grants to fund the smart grid. Nothing about Idaho Power bringing armed law enforcement with them to force the installation of Smart Meters on those homes whose owners did not want them. Vicky Davis, the subject of an OK-SAFE post dated 12/14/11, entitled “Smart Meter Battle Escalating – Idaho Power Brings Guns to the Battle“, was contacted by a reporter from the Times-News and interviewed for 15 minutes about the Idaho Power incident. After several days there is no story in the paper – anywhere. “After OK-SAFE wrote an article titled, Smart Meter Battle Escalating – Idaho Power Brings Guns to the Fight, I sent a link to it out to my email list. Somebody must have forwarded a link to the article to the Times-News newspaper in Twin Falls because a reporter called and asked me for an interview. We spent probably 15 minutes or so on the phone talking about the issue of the Smart Meter, the Smart Grid and my objections to it. We also talked about the implications of it for the future and the fact that most people have no understanding of that. They only understand the happy talk about energy efficiency. The reporter said she was going to talk to the Editor to see if she could write the story. That was several days ago but there has been no story so apparently, the Editor squashed it. “We would never force someone to use a different pay system, but late down the road we want to give the option for customers to choose to either pay for time of use or continue using the current tiered system in place now,” Heintzelman said. Of course Idaho Power would NEVER force anyone. They would just ask their buddies at the Idaho Public Utilities Commission to give them an Order to implement time of day pricing because the objective of the entire Smart Grid System is to control usage of electricity under the guise of conserving natural resources. Idaho Power has primarily hydroelectric but truth doesn’t matter. There is an agenda and they are moving forward with it up to and including bringing badges and guns to granny’s house in a show of force to prove that she can’t get away with Just Saying No. The rest of Vicky Davis’ article is here.